Why would I need self storage in Williamsville, NY? There are a variety of reasons why you might need self-storage in Williamsville, NY. How much is a storage unit in Williamsville, NY? The cheapest storage unit in Williamsville, NY is $58.00 per month. What size storage units do you have available in Williamsville, NY? In Williamsville, NY we have sizes that range from 5'x5' to 10'x30' to suit your storage needs. How much is it for a 5'x5' storage unit in Williamsville, NY? The cheapest 5'x5' storage unit in Williamsville, NY is $58.00 per month. Williamsville is a small village in upstate New York just outside Buffalo. It's part of the larger town of Amherst and has plenty of recreational amenities and special events despite its small size. The original surveyors of the area where Williamsville is now located were Joseph Ellicott and John Thomson. In 1780, they built the first house and, realizing new homes and businesses in the area would require wood, also built the first lumber mill. Even though they had the right idea, the venture failed. It wasn't until Jonas Williams came along in 1804 that the area took off. He built a sawmill, two feed mills, a distillery and a tannery, as well as raceways and dams to power the mills. 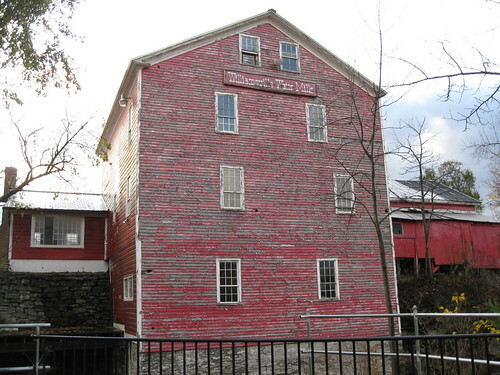 Jonas Williams owned and operated so much of the area that people began to call it Williams Mills. Later the town officially became Williamsville. With a favorable business climate, good public schools and affordable housing, Williamsville attracts new residents from around the area. Another factor that draws people to the small village is the easy access to plenty of outdoor activities. The village is just 30 minutes from Niagara Falls, 20 minutes from the shores of Lake Erie and 45 minutes from the shores of Lake Ontario. Williamsville also has several parks and recreational facilities. Along with walking paths, playgrounds and sports fields, some parks also have picnic shelters available for rent. Glen Park is a local favorite, stretching over 10 acres of land that housed an amusement park in the mid-1900s. You can enjoy scenic views of Glen Falls, which was formed by Ellicott Creek eroding the Onondaga Escarpment. Glen Park hosts many of Williamsville's local events, including Old Home Days and Taste of Williamsville. Schools in the village of Williamsville are part of the Williamsville Central School District. It's the largest suburban school district in Western New York and regularly ranks as one of the top school districts in the region. While Williamsville doesn't have any colleges or universities within its city limits, it's very close to Amherst and Buffalo, which do have plenty of public and private colleges and universities. The closest college is Daemen College, which is just a few miles from Williamsville. Utilities: Williamsville's primary utility providers include National Grid and the Erie County Water Authority. Garbage and Recycling: The village of Williamsville picks up garbage and recyclables once a week. On the town's website, you can find your pick up day and learn more about what is collected. Transportation: The NFTA-Metro operates the primary public transit network in Williamsville and the surrounding area. Williamsville is a fairly affordable place to live, with a median home price that's just slightly above the national average. However, because it's such a small community, the housing market sometimes is limited. Even so, you'll find a generally good range of options to meet your needs and budget. Our lowest priced units in Williamsville, NY average $96.50 per month. 90 people have reserved units in Williamsville, NY in the past 30 days. There are 2 locations within Williamsville, NY's city limits. There is 1 location in Williamsville, NY that offers AC and Heating features.